Granite tiles are quite literally, as old as the earth. Granite is a very hard, crystalline, igneous rock. Granite is the hardest building stone and occupies a prominent place among dimensional stones. Its fascinating colors, heavy gloss mirror polish and textural patterns make granite slabs and granite tiles extremely popular. In order to keep pace with the never ending demands of customers, we are involved into offering wide range of Granite Floor Tile. Granite Floor Tiles Granite Floor Tiles Granite is a natural stone product which is are cut and processed to flawless products of superior quality. Due to the durability granite tiles are popularly used to decorate floors, bathrooms, kitchens and other rooms. 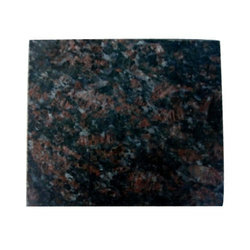 Granite is also widely used in office setup, halls for public gatherings, and big building and monuments.etc. Keeping the diverse requirements of customers in mind, we are instrumental in providing Granite Floor Tile.